This month, one of our partners in Europe, Checkprint, announced that it had closed a deal to ship about 1,200 TellerScan TS240-UV check scanners to Allied Irish Banks plc (AIB) as part of the bank’s project to replace old equipment. While we’re obviously glad for the sale, two other details make this exciting news for the industry in general. First is the fact that Ireland does not use scanning as a method of exchanging checks (or cheques) between banks, as part of a check truncation process. Yet, AIB was replacing old scanners that it had already been using for years. That’s some nice validation that there are, in fact, uses for scanners even when a country’s banking system has not converted to electronic check clearing. In many cases like this, the devices are used for internal record-keeping, security validation, on-us check processing or image exchange between banks that have existing agreements with each other. Of equal importance is that UV scanners were chosen – it should be noted that AIB’s operations also include locations in Northern Ireland and the mainland UK, where checks are printed with UV security ink, and where truncation is expected to go live sometime next year. 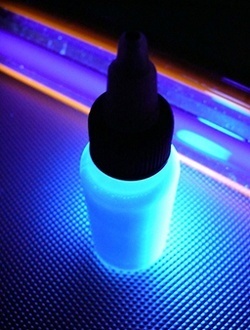 While there is no official word on whether UV scanning will be the official standard for the UK, it’s a sign that banks may be preparing themselves as if it will be the case. It should be noted that, even if there is no specific requirement for UV scanning on a national level, it can still be used as a secure fraud prevention measure by individual financial institutions. For the complete text of the announcement, click here or see the link at the start of this article.